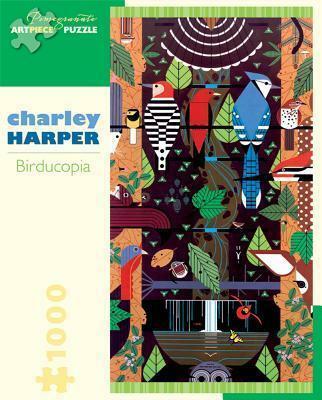 As an avid naturalist, Charley Harper s life s work was painting the insects, plants, birds, and animals he loved. Early on, his ultrarealisticworks gave way to familiar scenes based on bold geometric shapes, crisp lines, and jolts of unmodulated color. Harper s posters for conservation organizations have become some of his most enjoyed works skillful and playful menageries of local wildlife. Populated by ferns and fawns, salamanders and scarlet tanagers, Birducopia presents a multitude of creatures from Ohio s Penitentiary Glen. Thoughtfully conceived and engagingly intricate, Pomegranate s 1,000-piecejigsaw puzzles combine superb color reproduction, stunning and unusual images, and sturdy construction to delight generations of novice and veteran puzzleworkers.